Hearings about funding and policy issues moved a great deal of legislation forward during the past few weeks. The tool used by both the governor and legislature to determine state general fund revenue is the “consensus revenue estimate” prepared by the Consensus Revenue Estimating Group. This group is composed of representatives from the Division of the Budget, Department of Revenue, Legislative Research Department, and one consulting economist each from the University of Kansas, Kansas State University and Wichita State University. Before Dec. 4, the group makes its initial estimate for the budget year and revises the estimate for the current year. By April 20, the group reviews the fall estimate along with any additional data. A revised estimate is published, which the legislature may use in adjusting expenditures, if necessary. On May 1, we also will receive April revenue numbers. March numbers were $31 million above estimate, and I am hopeful that the trend will continue. For the fiscal year to date, Kansas has exceeded revenue estimates by $27 million. Evaluate outcomes data for such students, including, but not limited to, school attendance, academic progress, graduation rates, pursuit of post secondary education, or other career advancement. Requires the Kansas State Department of Education (KSDE) to create one-page performance accountability reports for the state, each school district and each school building. The performance accountability reports must include information required by the federal Every Student Succeeds Act, or any successor act, and the college- and career-readiness metrics developed and implemented by the Kansas State Board of Education (KSBE). All expenditures for legal services challenging the constitutionality of the school finance system under Article 6, Section 6 of the Kansas Constitution, including any dues or fees paid to an organization participating in such litigation. Requires the KSBE to provide the ACT college entrance exam and the three ACT WorkKeys assessments required to earn a national career-readiness certificate to each student enrolled in grades 11 and 12 at no charge to the students. Extends the Legislative Task Force on Dyslexia until June 30, 2022, allowing the task force to meet once each year. The governor has signed the legislation, and the attorney general is preparing the legal briefs for its defense before the Kansas Supreme Court. Oral arguments will take place May 9, and the court will issue a decision on or before June 30. 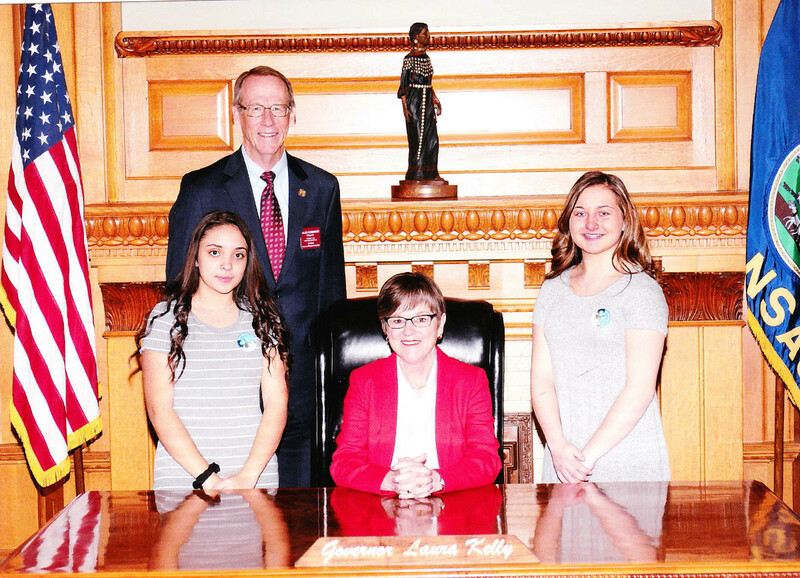 Claire and Lola’s Law (HB 2244), which I described in my March 24 newsletter, passed the House 89-35. The bill provides an affirmative defense for Kansas citizens who use CBD oil with 5 percent or less of THC (tetrahydrocannabinol, the main active ingredient in cannabis) to help control seizures associated with a debilitating medical condition. 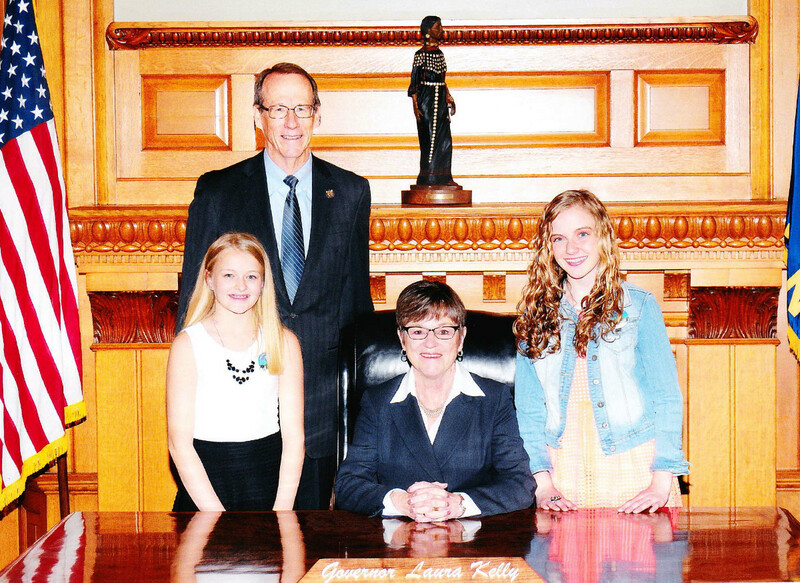 I was happy for the Hartley family in Benton, whose daughters, Claire and Lola, were the inspiration for the bill. I introduced the bill earlier in the session and voted for its passage. It now rests in the Senate Judiciary committee, and we are working to find a path forward for the bill before this session concludes. Families who could benefit from this legislation have been the strongest advocates that I can recall. They are passionate, yet courteous and professional when talking with supporters and opponents. It has been a joy for me to be able to help them. Medicaid expansion legislation remains in the Senate. There may be opportunities for it to yet be heard in that chamber before the session adjourns. HB 2084 increases per-phone-line fees from 60 cents to 90 cents per month to pay for statewide upgrades to our 911 system. It passed the House 87-35 and the Senate 36-3. I voted in favor. It’s both fun and enlightening to welcome young students from my district to the statehouse to serve as pages. I was privileged to welcome three teams of pages this year, and was impressed to hear their concerns about the future of our state. How would you prioritize spending options from 1 to 5, 1 being most important and 5 of lesser importance? I consider it an honor to serve all the constituents of my district, whether we agree or disagree. You teach me through your survey responses, and also through every note I receive or conversation we have. I intend to continue earning the trust you have placed in me, and to work for you — and with you — to advance commonsense solutions. When we pull together, I have no doubt that “the better angels of our nature” will prevail. Thank you! 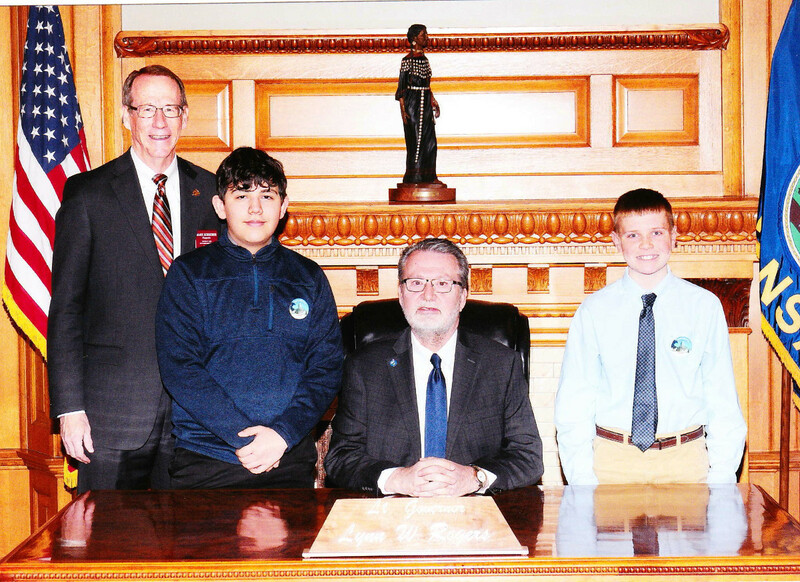 Copyright © 2019 Mark Schreiber for Kansas House, All rights reserved.